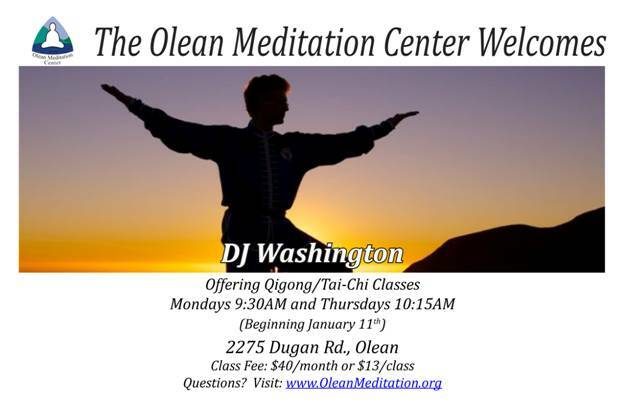 DJ Washington offers weekly Qigong and Tai-Chi instruction at OMC. See flyer below for class times and prices, or check the OMC Events Calendar. 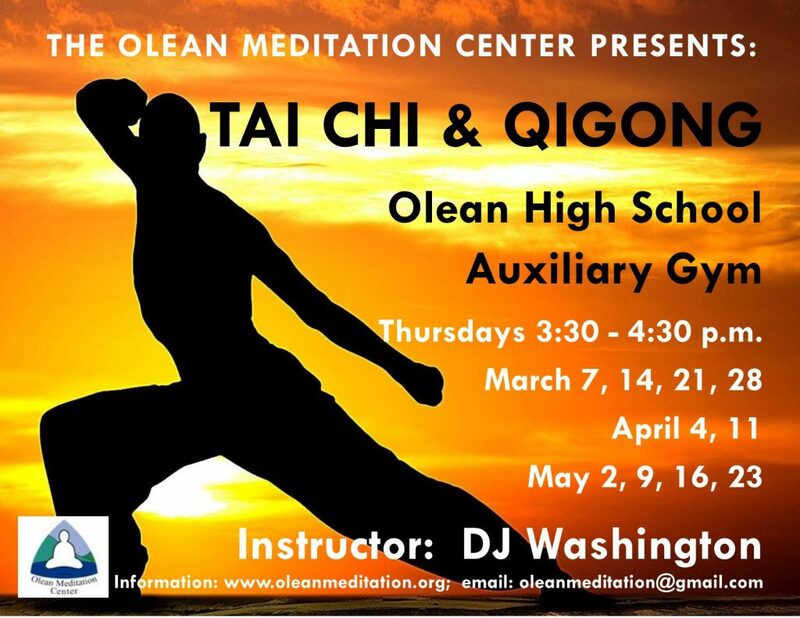 Tai Chi & Qigong, a free program designed for area youth, will be offered in the Auxiliary Gym at the Olean High School, 410 Sullivan St., Olean, NY 14760, from 3:30 – 4:30 p.m. Thursdays, March 7, 14, 21, 28 and April 4, 11, and May 2, 9, 16 and 23. The program will be taught by DJ Washington. For more information, call 503-858-9842. Pre-registration is preferred but drop-ins are also welcome.